Colin Williams built this Mill Creek 13 kayak from plans by Chesapeake Light Craft. He uses her mainly in the estuary of the Crookhaven River and in Lake Woolumboolah near the south coast of New South Wales, Australia, near Jervis Bay. 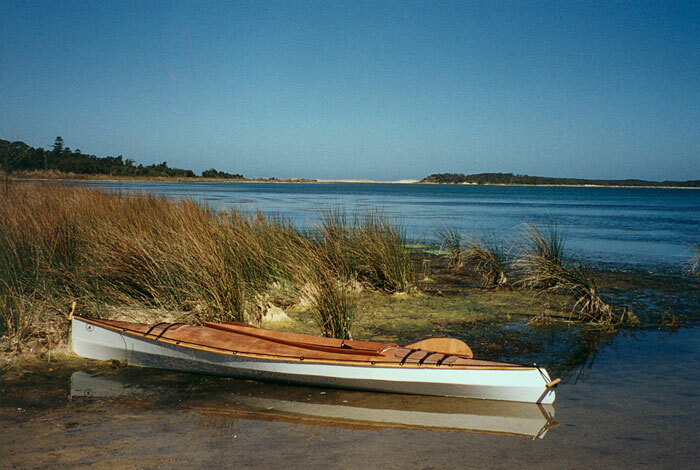 He writes that the "kayak is an ideal boat for the beginner builder and paddler." The only modification he made was to add a retractable skeg to help it track straighter in heavy coastal winds.